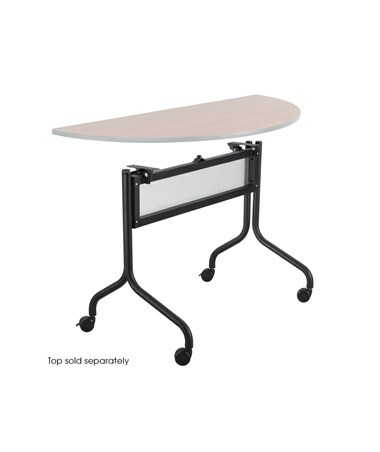 The Safco Impromptu Table Base is a versatile piece of furniture that is tough enough to fit and carry different types of table tops. It is 28 inches in height and 24 inches deep and features a polycarbonate modesty panel to provide privacy for the user. 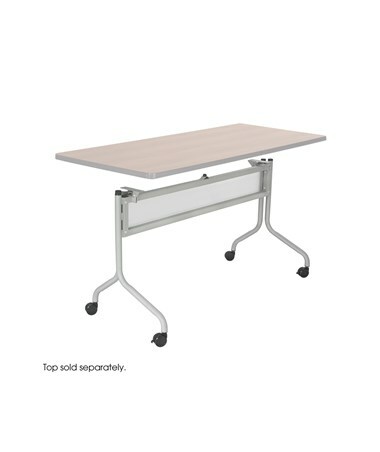 Also included are dual wheel casters on each leg and two of the said casters have locking brakes that allow the table to be mobile or stationary. 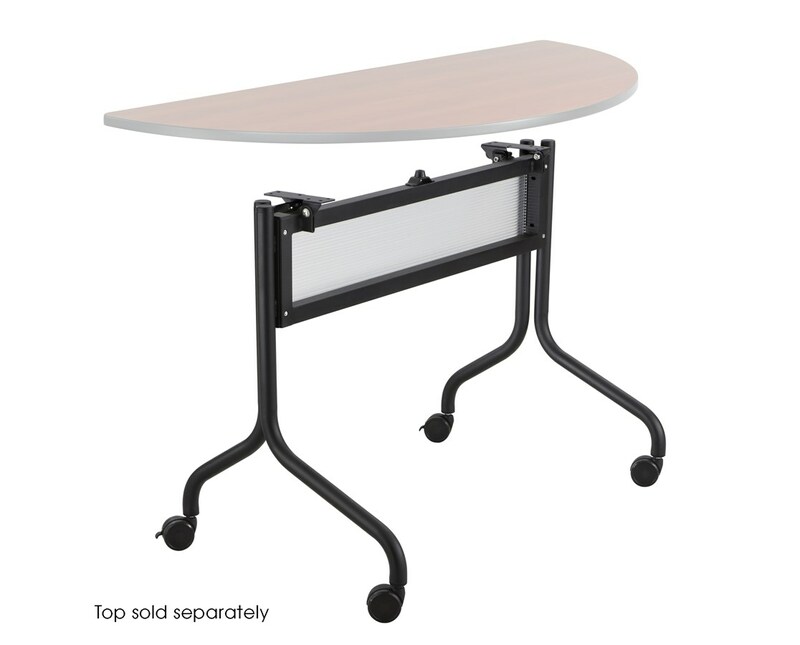 This Safco table base is designed to perfectly complement the entire Impromptu line of products. It is available in two sizes to specifically fit an Impromptu tabletop model. 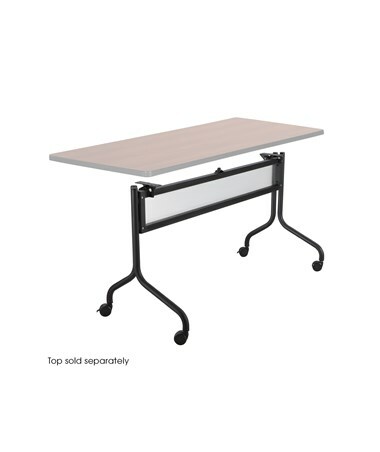 The 37.5-inch wide is for the half-round and 48-inch wide rectangle Impromptu table tops, while the 49.25-inch wide base is for the 60-inch and 72-inch wide rectangle Impromptu table tops. It is made of 1.25-inch 12-gauge tubular steel. It base also meets ANSI/BIFMA safety standards and is GREENGUARD certified. The Safco Impromptu Table Base is available in different sizes and colors. Please select your preference from the drop-down menus above.